Yes, I know. it’s about time that I wrote another post. I’ve been just plain lazy and busy with work and life. So just in time for thanksgiving I am baking a good ole’ apple pie. 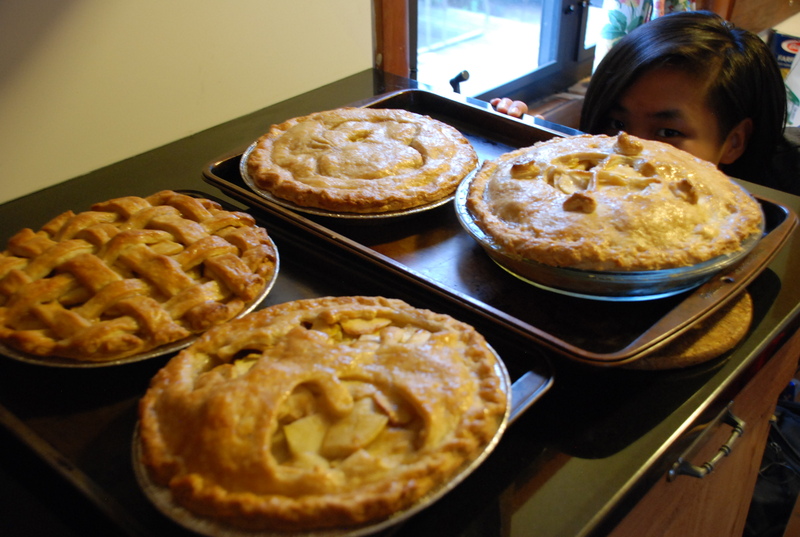 I had an apple pie party with a friend and we planed to bake three pies but instead made four with the extra dough left over and more than enough apples. I overestimated the amount of apples needed but its ok since I boiled down the apple and the juices then turned it into an apple sauce. Also, Have a wonderful thanksgiving with all of your family and friends! 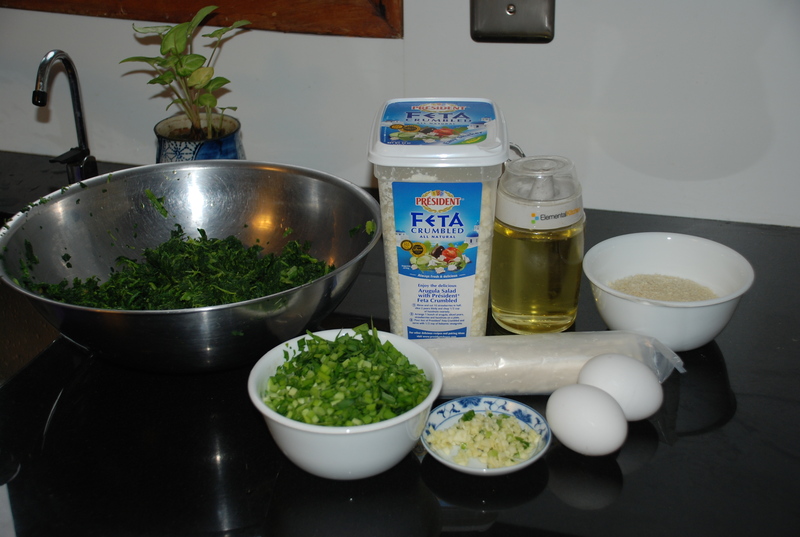 get all those ingredients together. 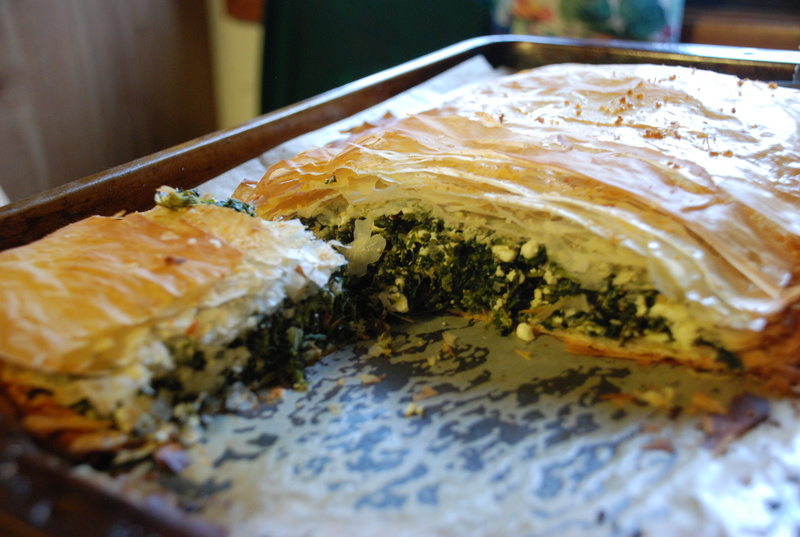 The recipe in the link will only make one pie crust and this one will make two, one for the bottom and another for the top. 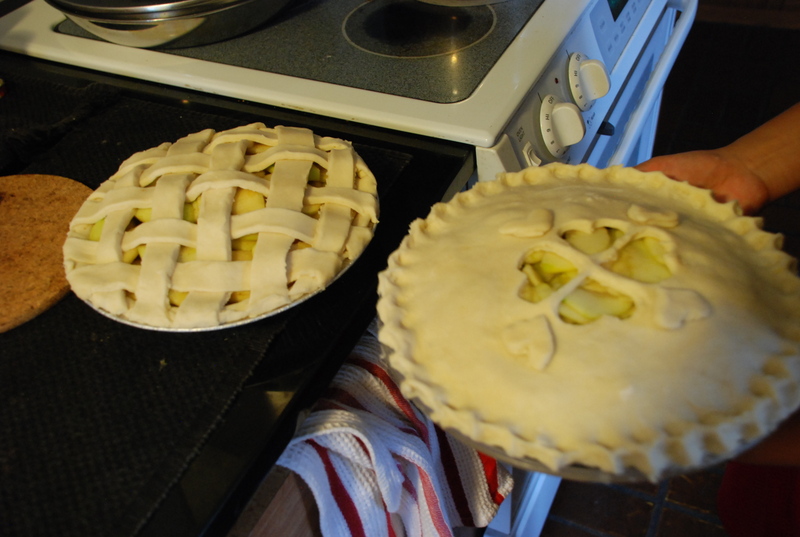 After making this pie crust many, many times I noticed that the amount of water needed was much more than recommended. 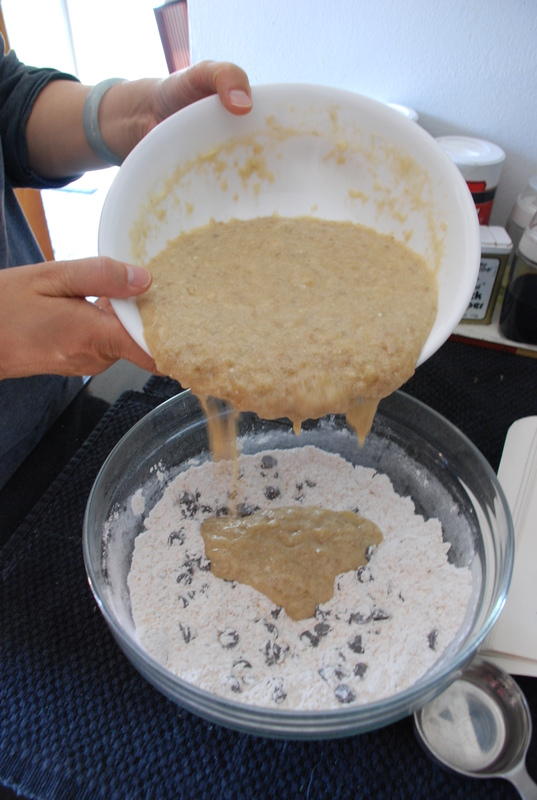 Sometimes, ok most of the time, I would add a tad bit too much water, making the dough very sticky and watery, but not to worry I would add more flour till it wasn’t sticking to the sides of the bowl. 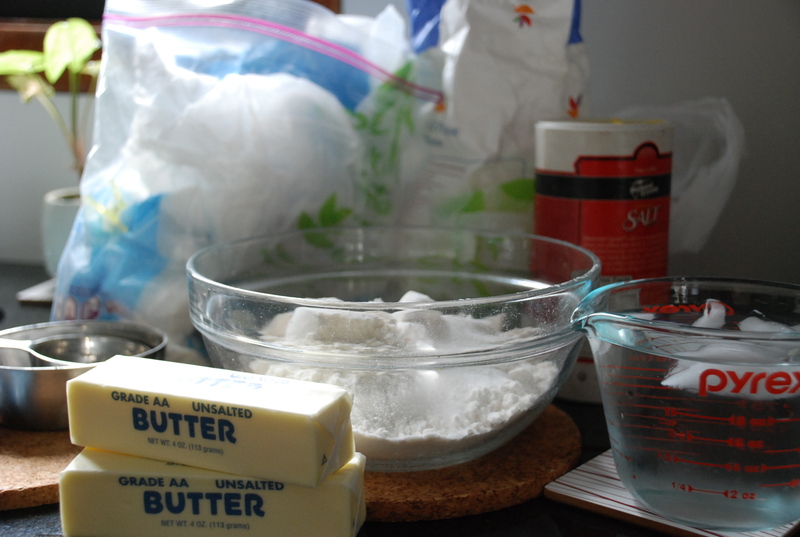 I wrote next to the butter to cut it into pea sized pieces only because I don’t have a big fancy food processor, just a small one which can’t fit it all in, I use a knife to cut the butter into smaller pieces and then mix it together with the flour with my hands. 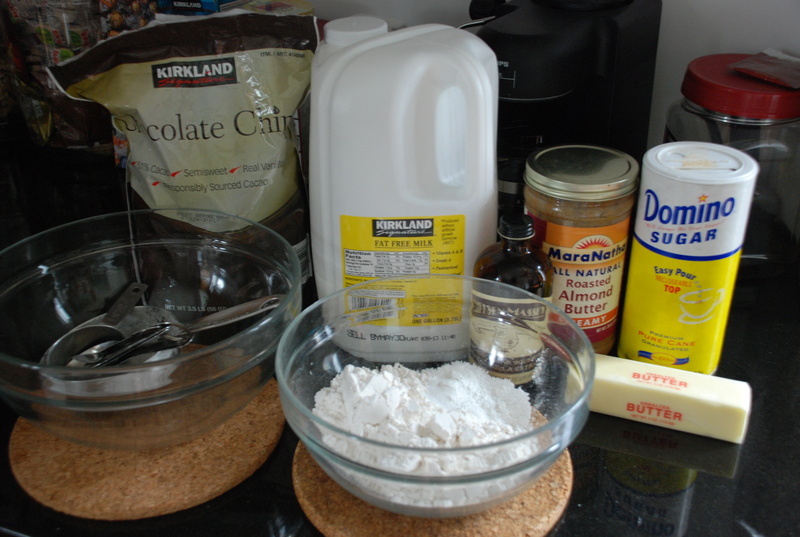 Sprinkle a clean counter-top with flour, put the dough on it, and sprinkle the top with flour. Use a rolling pin to roll with light pressure from the center out. 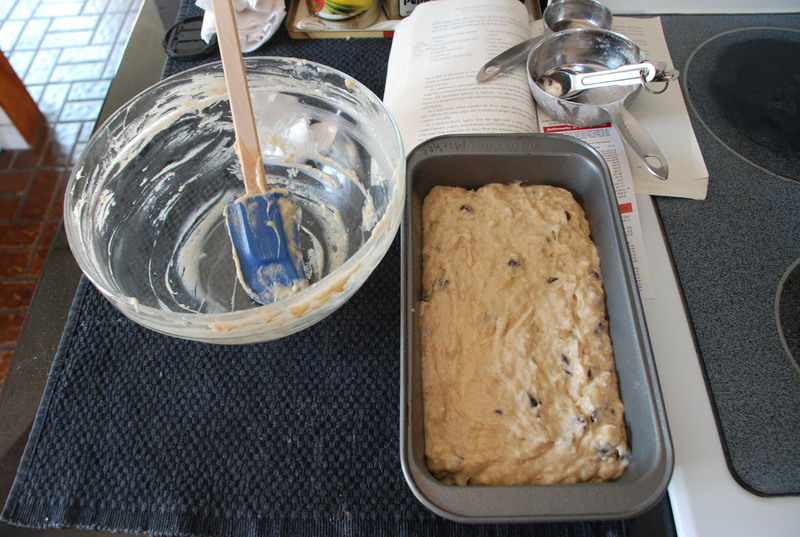 If the dough is hard, let it rest for a few minutes. 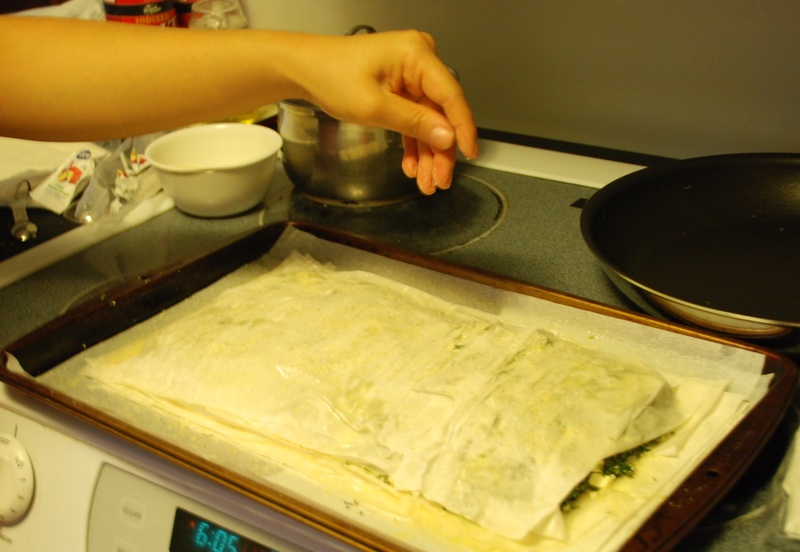 If the dough is sticky, add a little flour (if it continues to become sticky, and it’s taking you more than a few minutes to roll it out, refrigerate or freeze again). 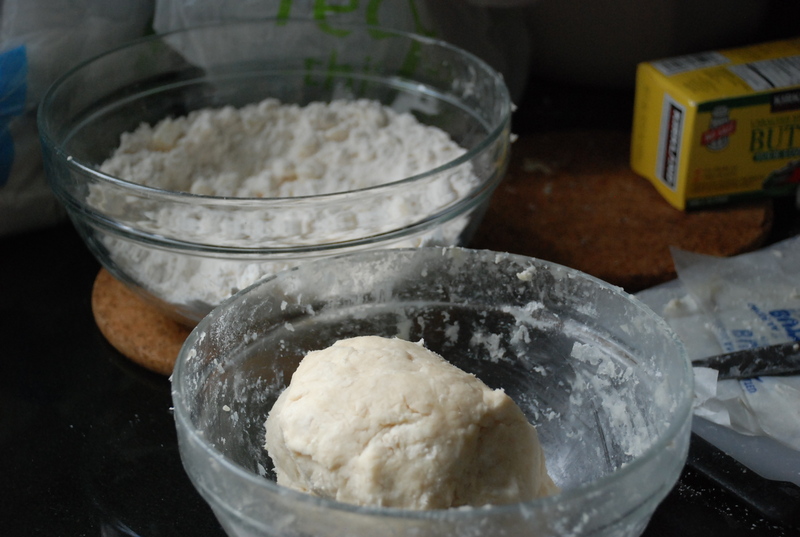 Roll, adding flour and rotating and turning the dough as needed; use ragged edges of dough to repair any tears, adding a drop of water while you press the patch into place. 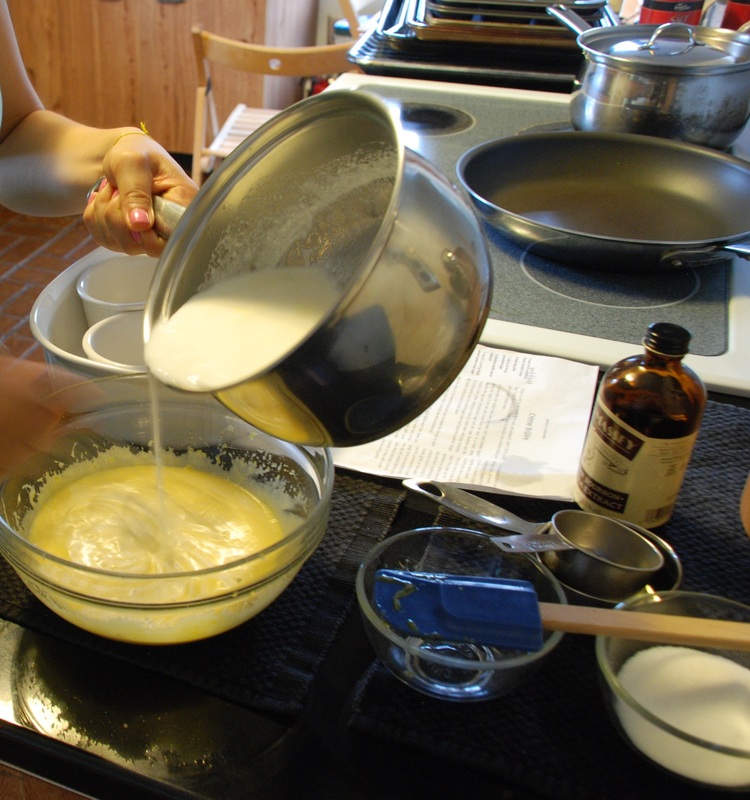 When the diameter of the dough is about 2 inches greater than that of your pie plate, drape the dough over the rolling pin to transfer it into the pie plate. Press the dough firmly into the plate all over. 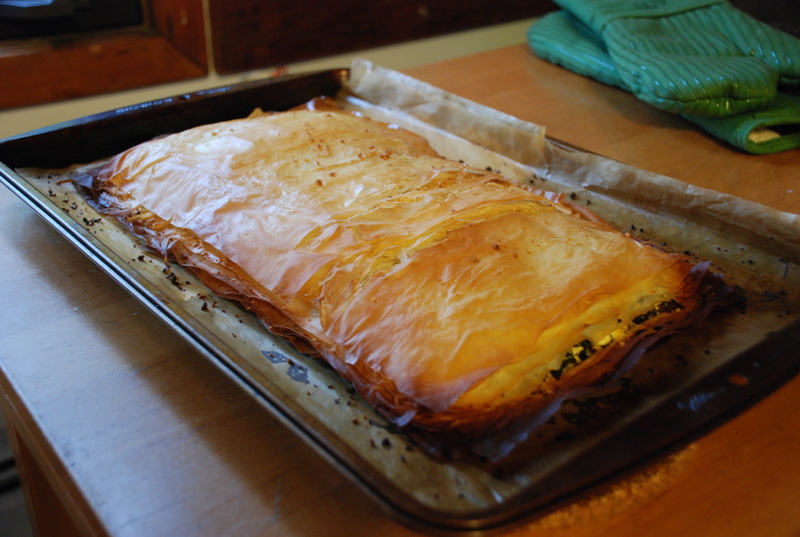 Refrigerate for about an hour before filling (if you’re in a hurry, freeze for a half hour or so). 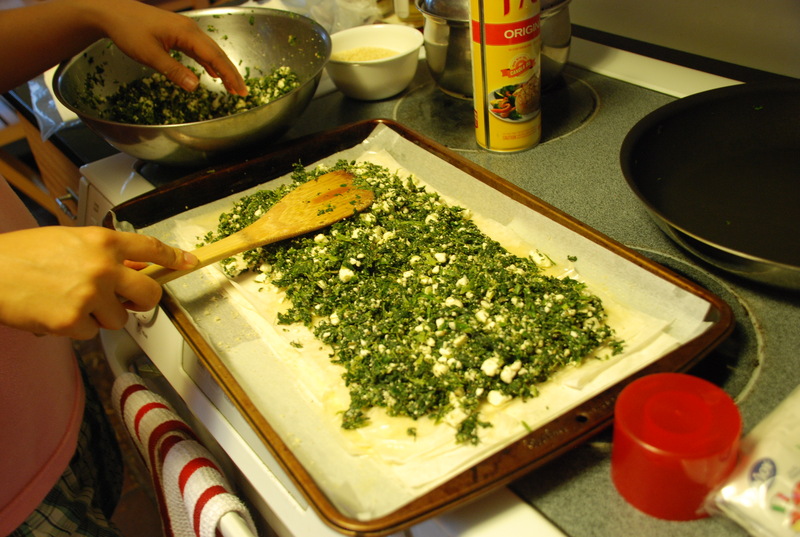 Trim the excess dough to about 1/2 inch all around, then tuck it under itself around the edge of the plate. 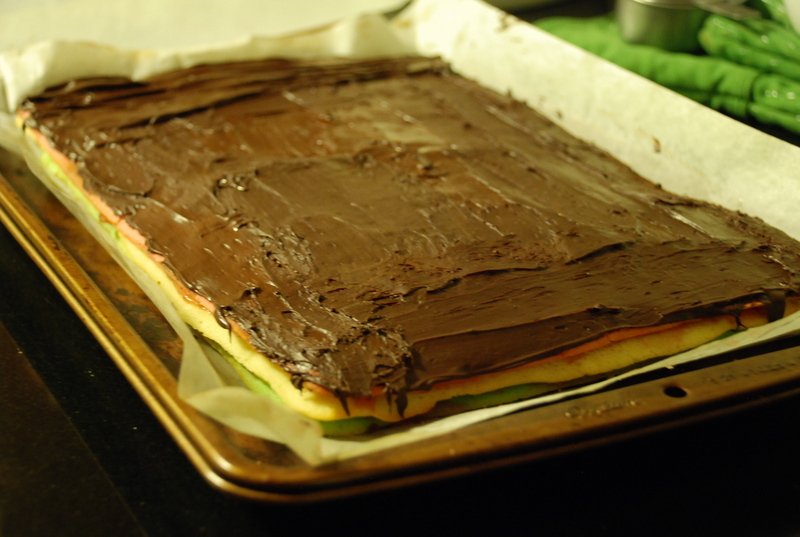 Decorate the edges with a fork or your fingers. Freeze the dough for 10 minutes (or refrigerate it for 30 minutes). 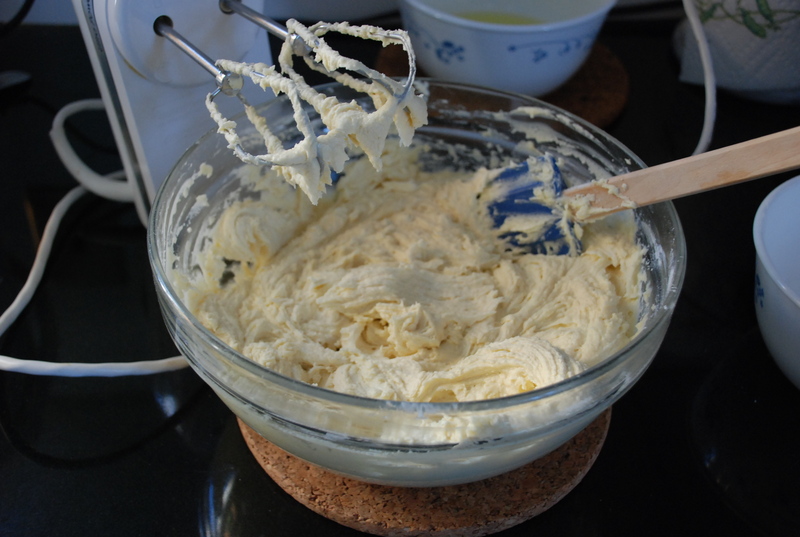 When you’re ready to bake, either fill it or prick it all over with a fork for prebaking. Granny smith apples with sugar and spice. Granny smith, Golden delicious and Fuji apples. 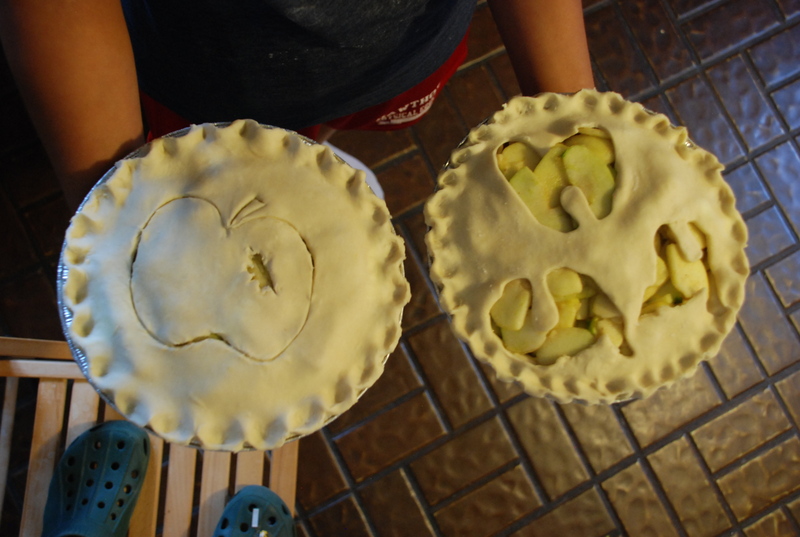 pie designs (apple and a cat). don’t mind the feet and other bodies. 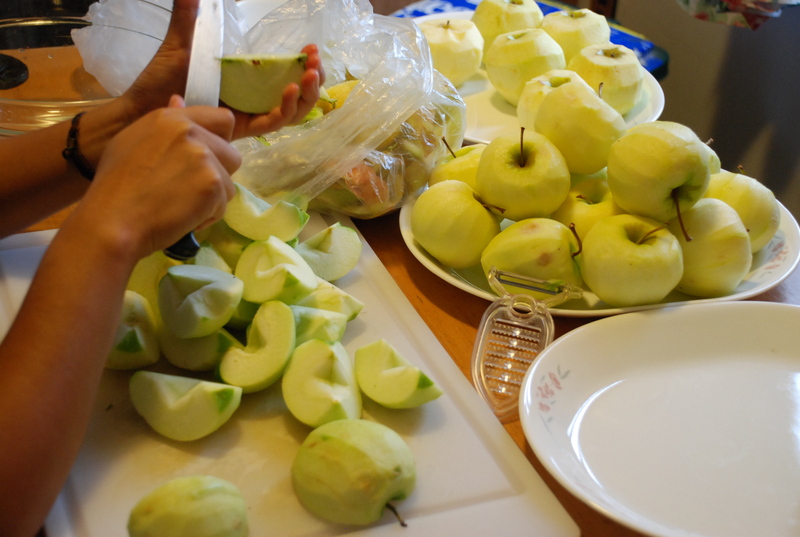 I have a jumble of apples that I use since I usually go to Asian supermarkets and they don’t have the same variety as American supermarkets. I pick a few that are sweet and sour. I put corn starch and flour since I get paranoid that the apple pie will get all soggy from the excess juice but then I learned, the hard way, to NOT put all the excess juice that accumulates when you first mix it together with the spices and sugar. Maybe its because I leave the mixture out too long and the lemon juice, sugar and apple get a chance to mingle then all the juice appears. What happens to that lovely sugar and spice juice? well I’m glad you asked, instead of using an egg white to get the crust to brown I use the excess juice to get that lovely shine and color. 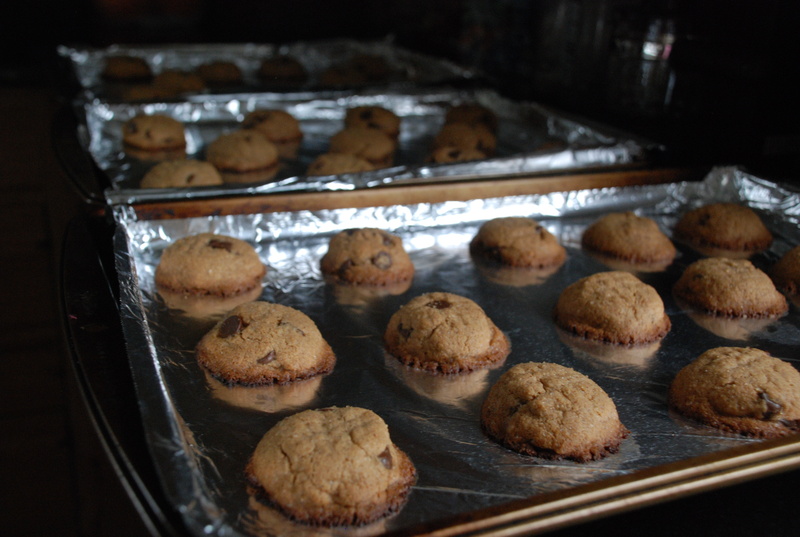 Adjust oven rack to the middle and oven to 425°F. Remove one piece of dough from refrigerator (if refrigerated longer than 1 hour, let stand at room temperature until malleable). 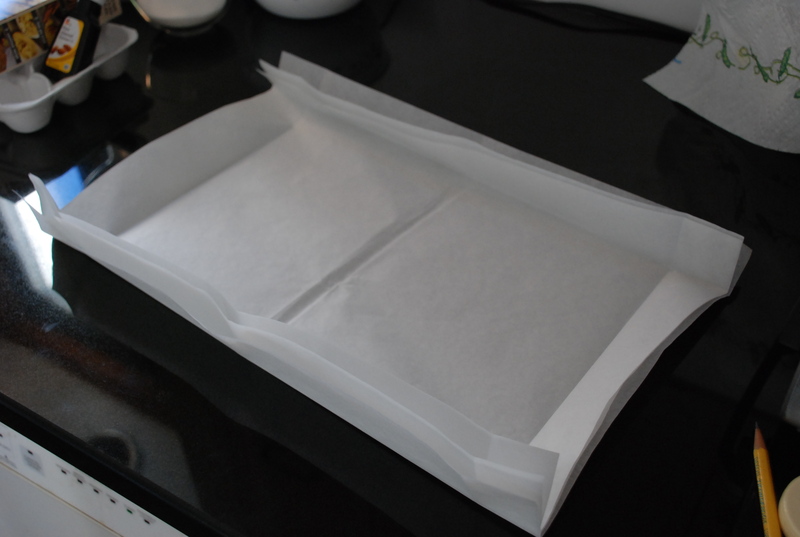 Roll dough on lightly floured work surface or between two large sheets of plastic wrap to 12-inch disk. 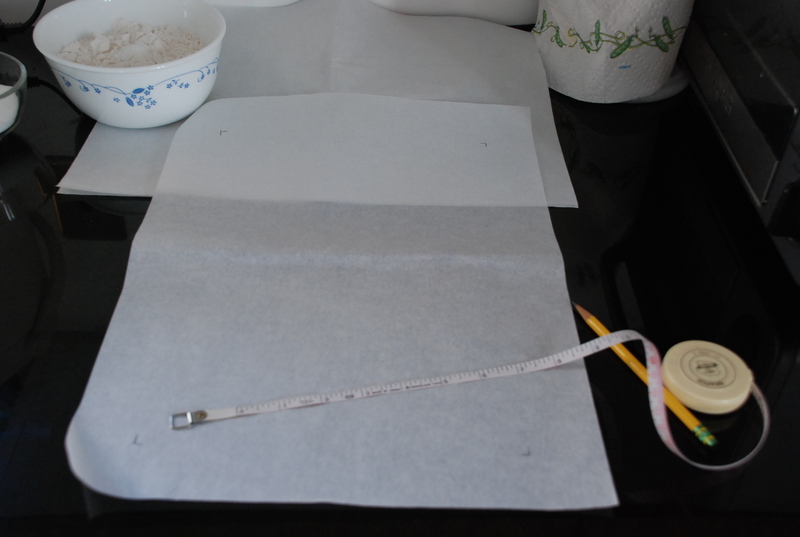 Transfer dough to pie plate by rolling dough around rolling pin and unrolling over 9 1/2-inch pie plate or by folding dough in quarters, then placing dough point in center of pie plate and unfolding. 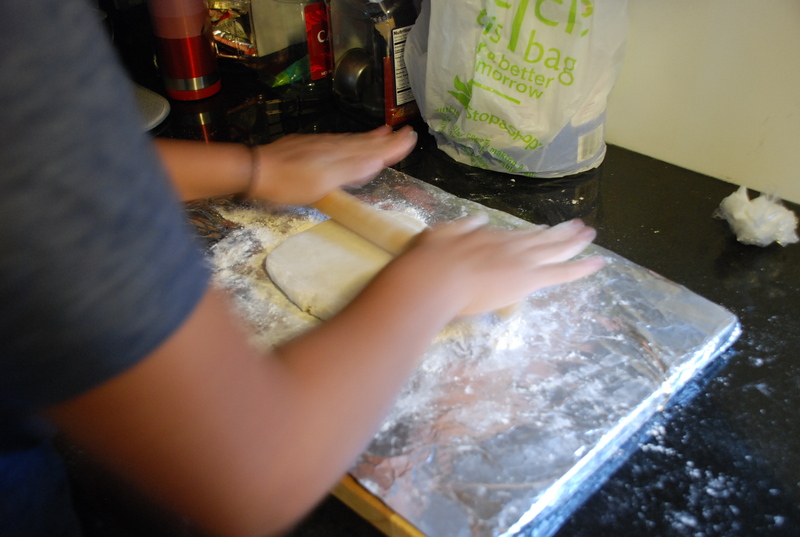 Working around circumference of pie plate, ease dough into pan corners by gently lifting dough edges with one hand while pressing around pan bottom with other hand. 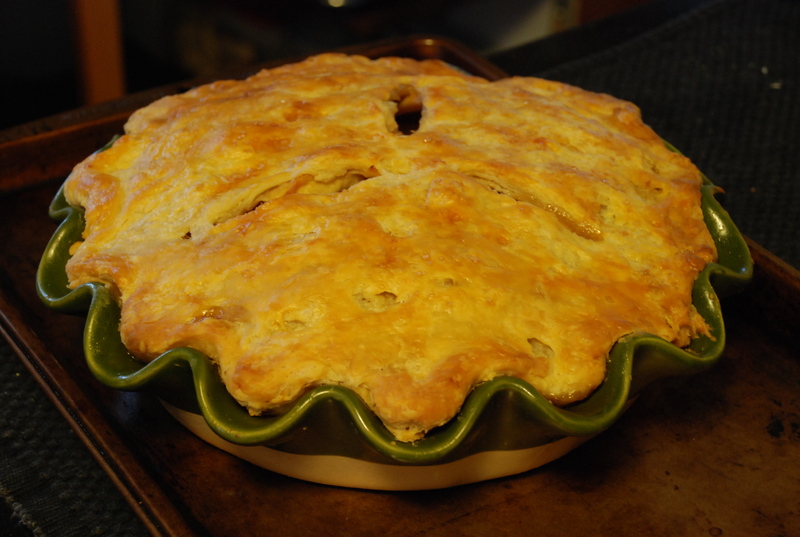 Leave dough that overhangs lip of plate in place; refrigerate dough-lined pie plate. 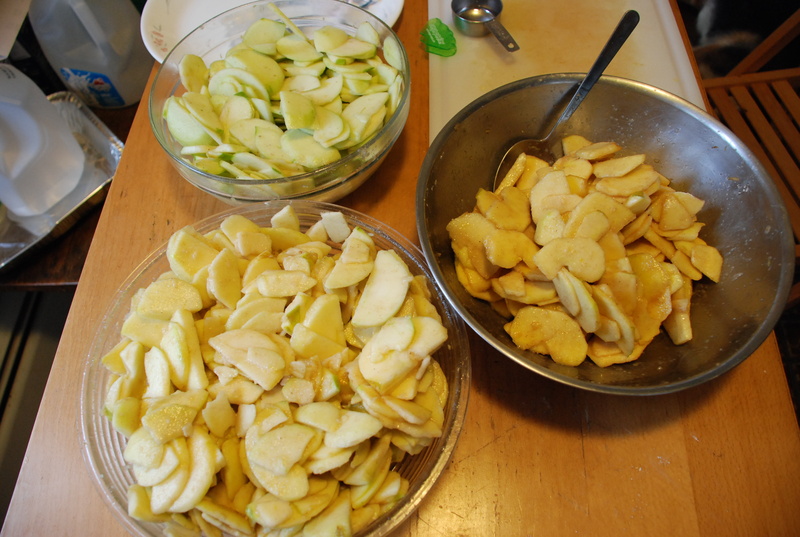 Peel, core and cut apples in half, and in half again width-wise; cut quarters into 1/4-inch slices and toss with lemon juice and zest. 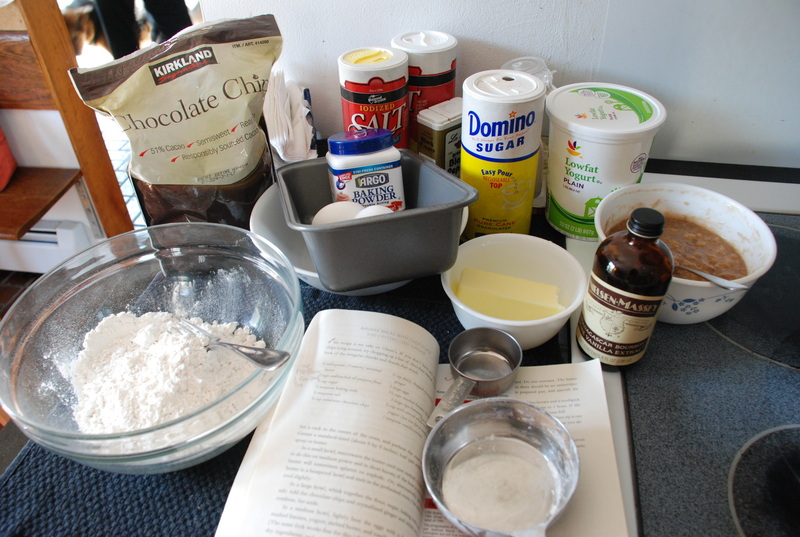 In a medium bowl, mix 2/4 cup sugar, flour, salt and spices. 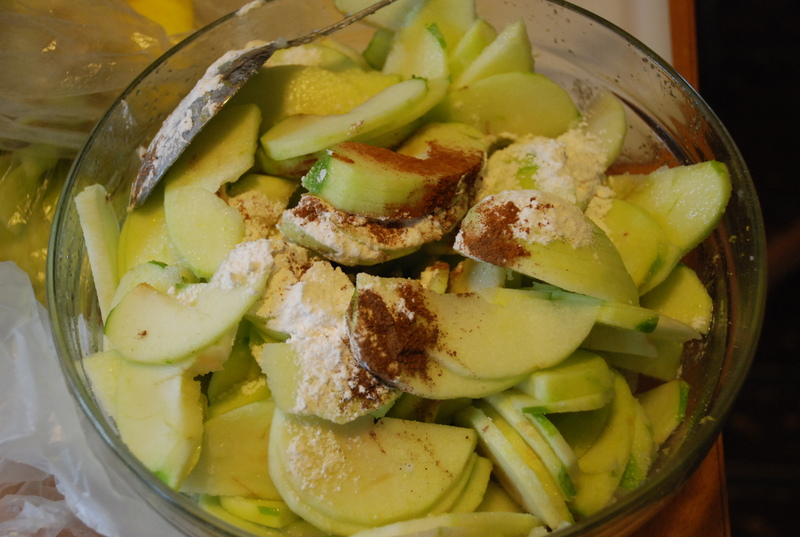 Toss dry ingredients with apples. 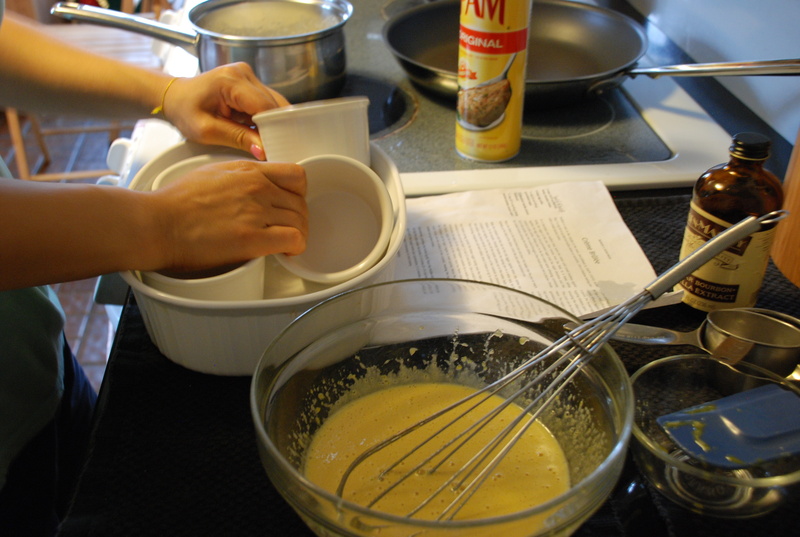 Turn fruit mixture, with some of the juice, into chilled pie shell and mound slightly in center. 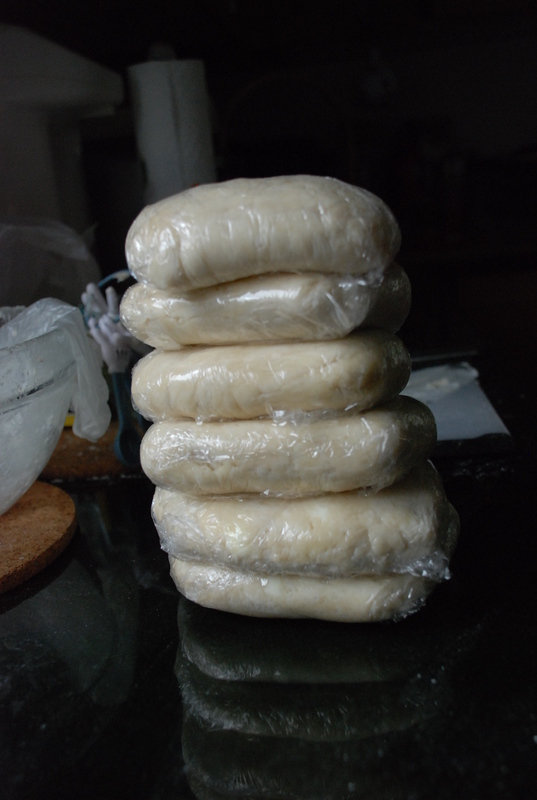 Roll out second piece of dough to 12-inch disk and place over filling. Trim top and bottom edges to 1/2-inch beyond pan lip. 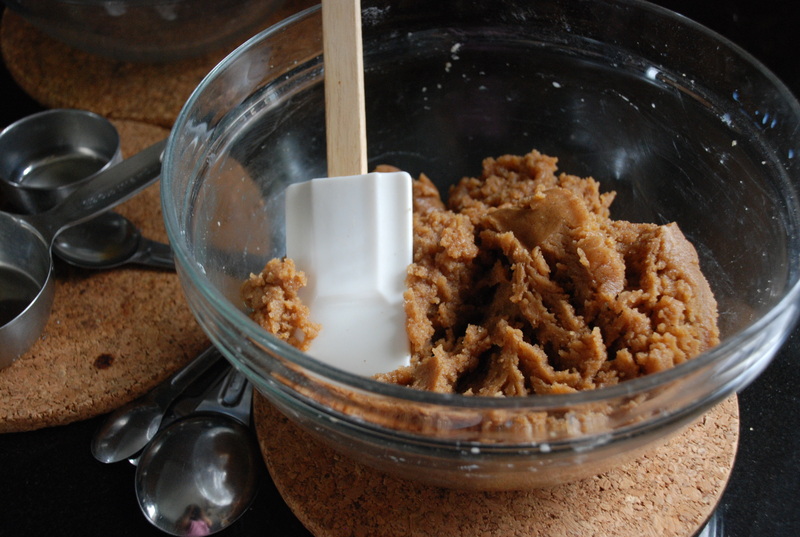 Tuck this rim of dough underneath itself so that folded edge is flush with pan lip. Flute edging or press with fork tines to seal. 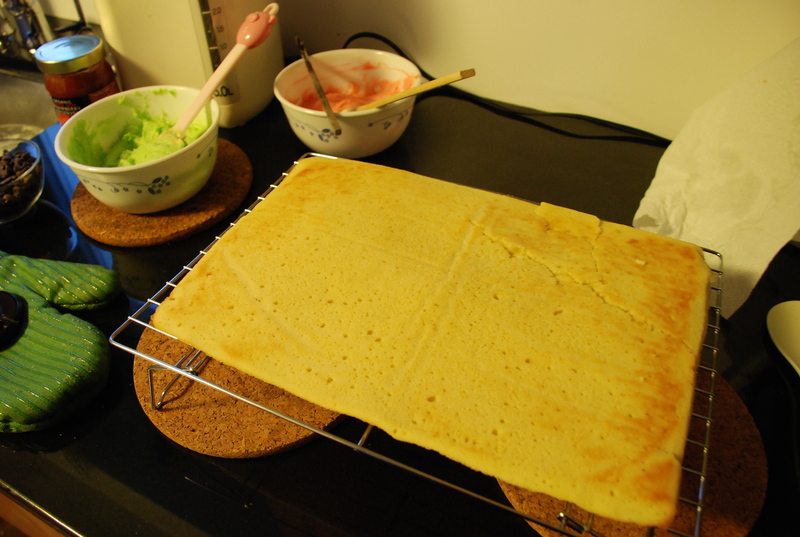 Cut four slits on dough top. 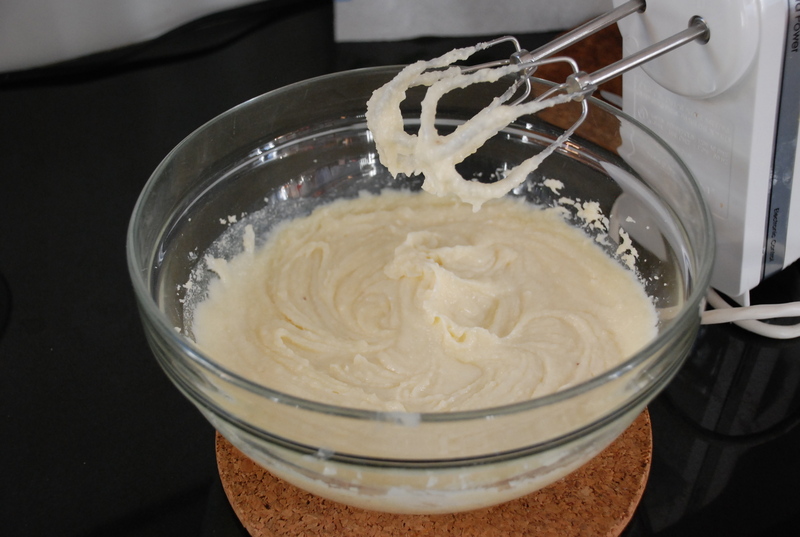 If pie dough is very soft, place in freezer for 10 minutes. 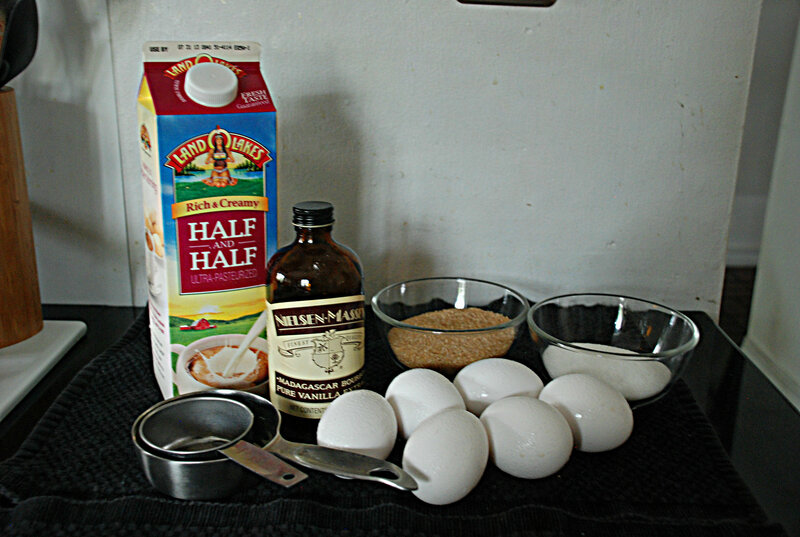 Brush egg white onto top of crust and sprinkle evenly with remaining 1 tablespoon sugar. Place pie on baking sheet and bring the temperature to 425°F. Bake until top crust is golden, about 25 minutes. 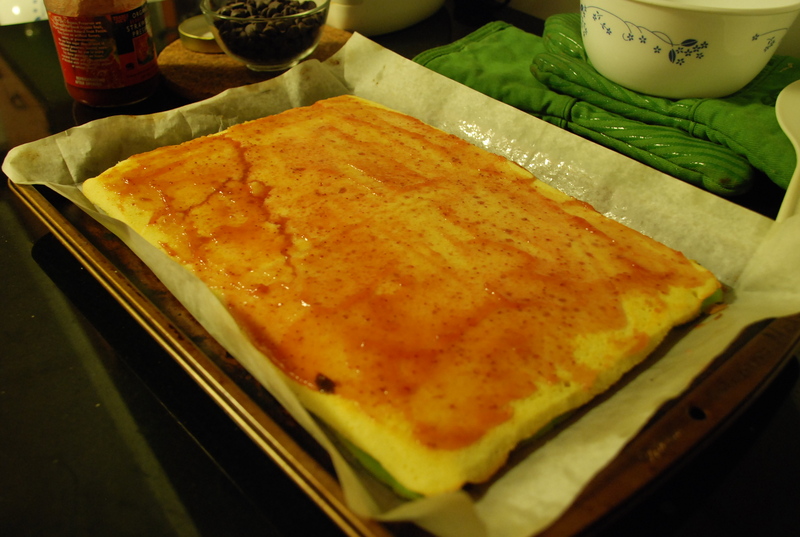 Rotate pie and reduce oven temperature to 375°F; continue baking until juices bubble and crust is deep golden brown, 30-35 minutes longer. 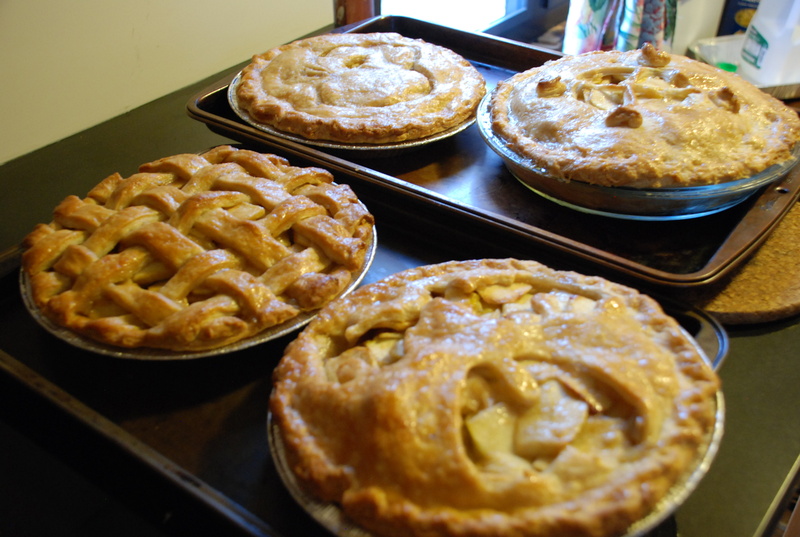 four pies all baked. lovely! my apple pie baking partner, spying on the pies! An extra pie from another day that I couldn’t resist showing. I bought a fancy new ceramic pie plate from Williams-Sonoma with a gift card from my lovely aunt, thanks! Once again the last few bananas in my house have been neglected. 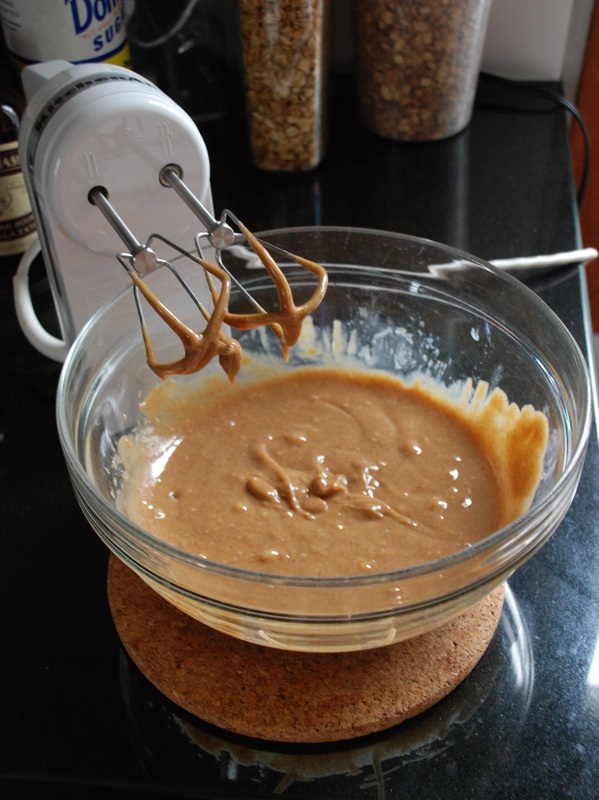 Fortunately for me I had the good sense to prolong its brown yellow life in the fridge and bake banana bread cake pops. 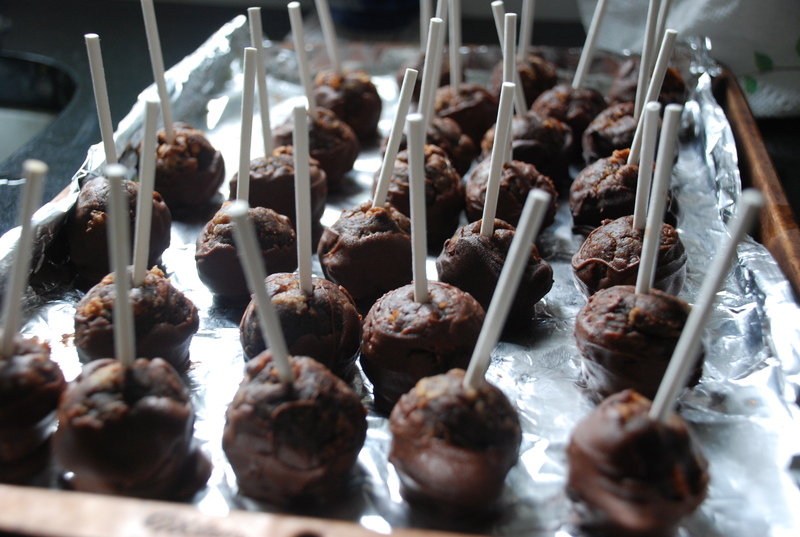 These were inspired by my friend Nicole who told me this long ago when I made the carrot cake pops. 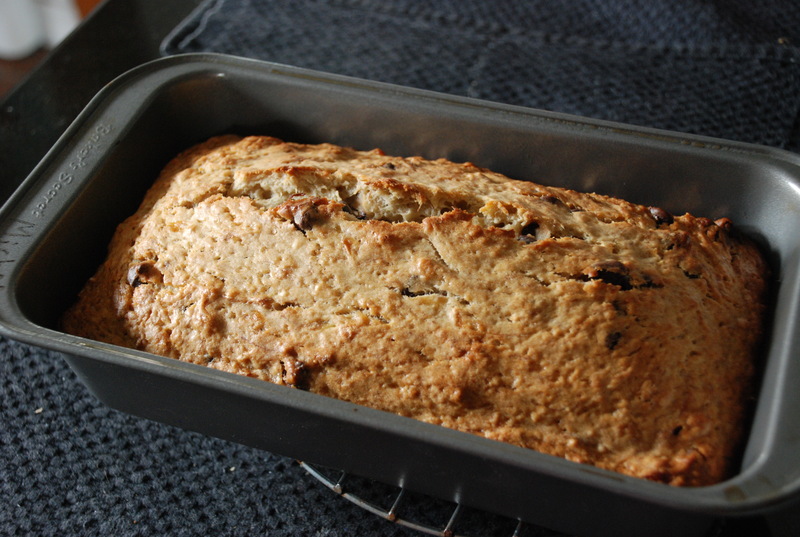 When I made the banana bread this time I left out the butter because as I mentioned in the previous post the banana and yogurt makes up for the lack of butter. 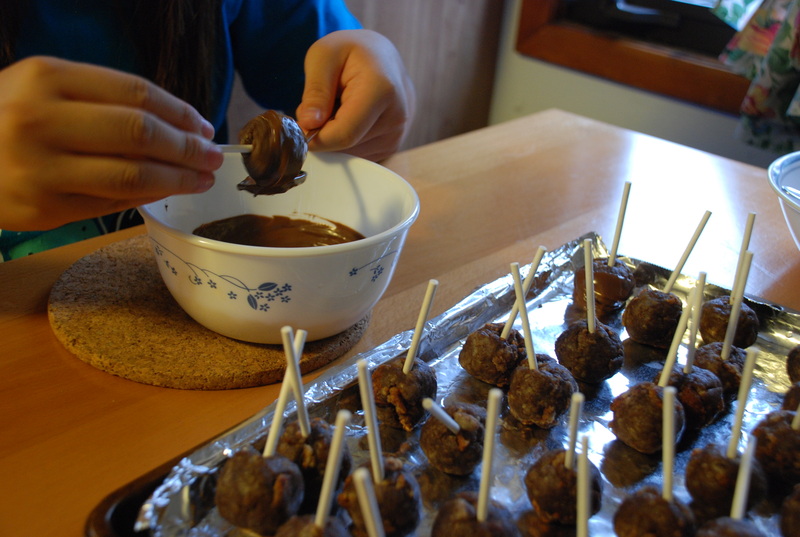 Put 1/2 cup of chocolate instead of 3/4 cups since the coating of the cake pop would be chocolate. 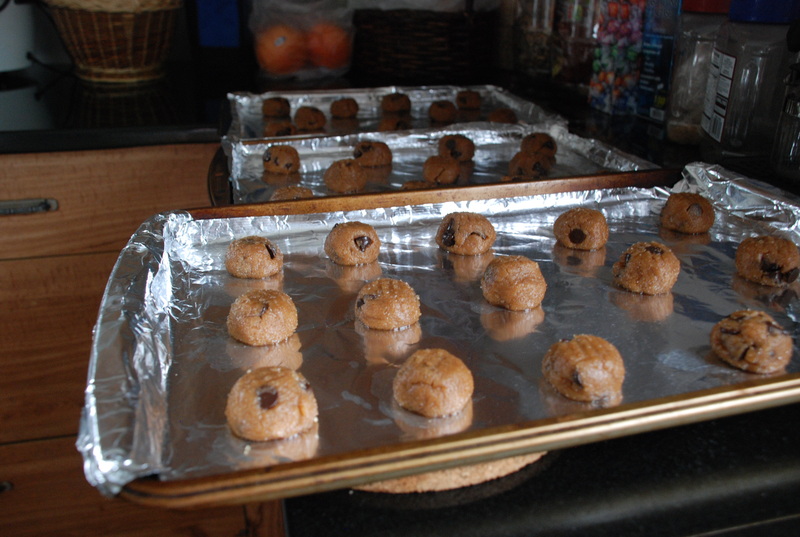 Substituted 1/2 cup of flour for 1/2 cup of ground flaxseed. You can feel less guilty eating this cake pop or bread. Cake pops ready for chocolate covering. I had were a few pieces of Hershey bar chocolate in the kitchen. 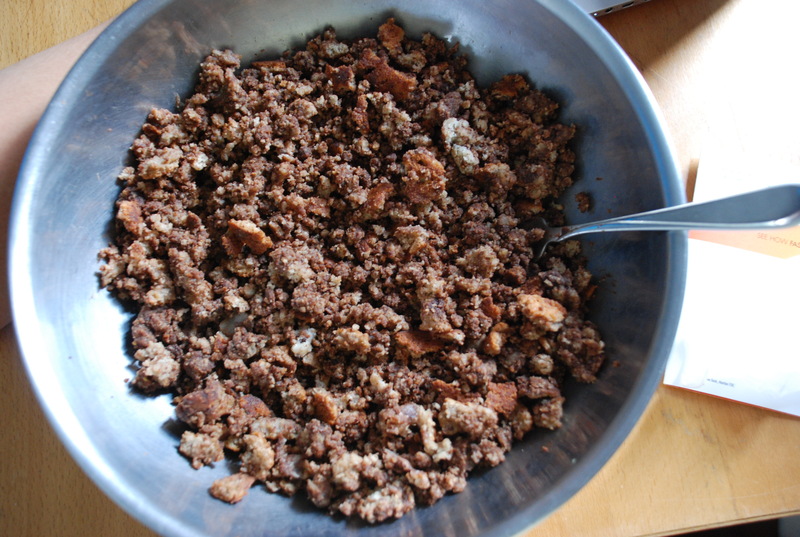 After letting it cool for a while, crumble the banana bread in a bowl with your hands or fork or both. 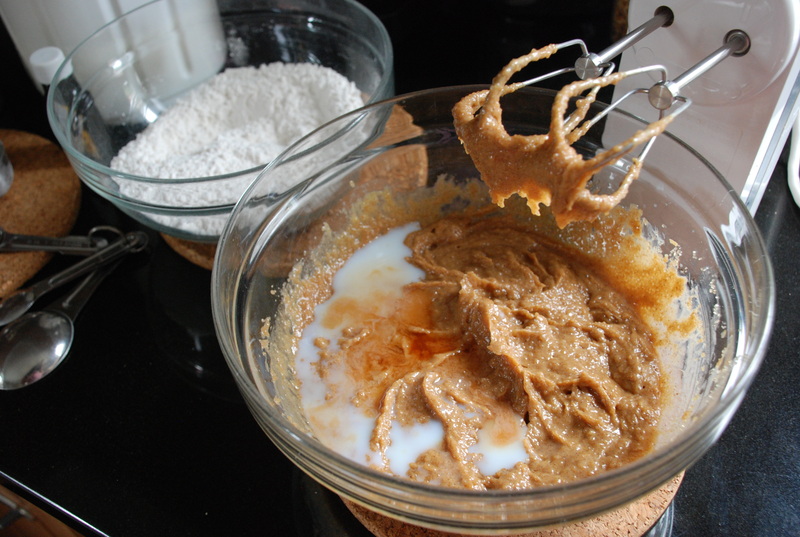 The banana bread has already a binding component from the mushy bananas, when you get to this point you will see, so you don’t need add any type of frosting or binding agent. 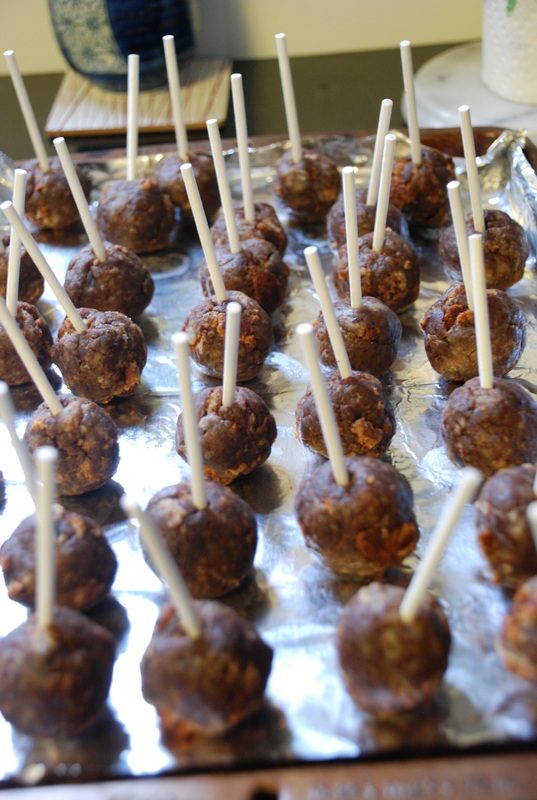 Place the cake pops on a baking tray, lined with aluminum foil or parchment paper, and put them in the freezer for 15 mins or refrigerator for 30 mins or less since the cake pops have the mushy banana binding. 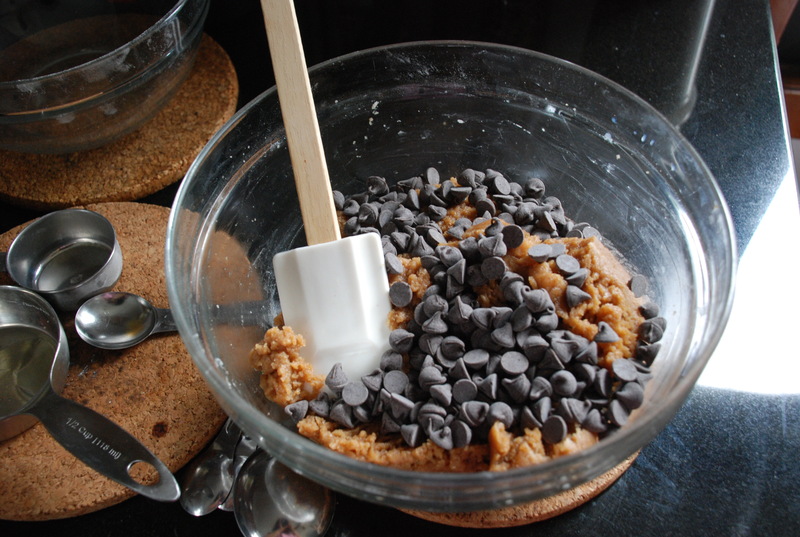 Melt the chocolate in the a double boiler or microwave it in 20 second increments. Watch the chocolate, especially in the microwave, so you don’t dry out the chocolate. 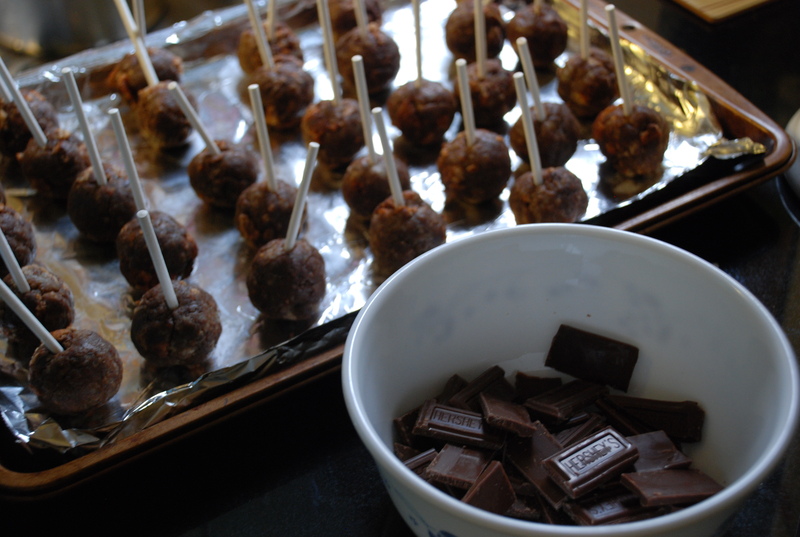 Take the cake pops out and start to cover them in the chocolate and place them back on the baking tray. When you are done with that, place the cake pops back in freezer or fridge to harden the chocolate. After the wait then you can eat it! I love the smell of basil and lemon! 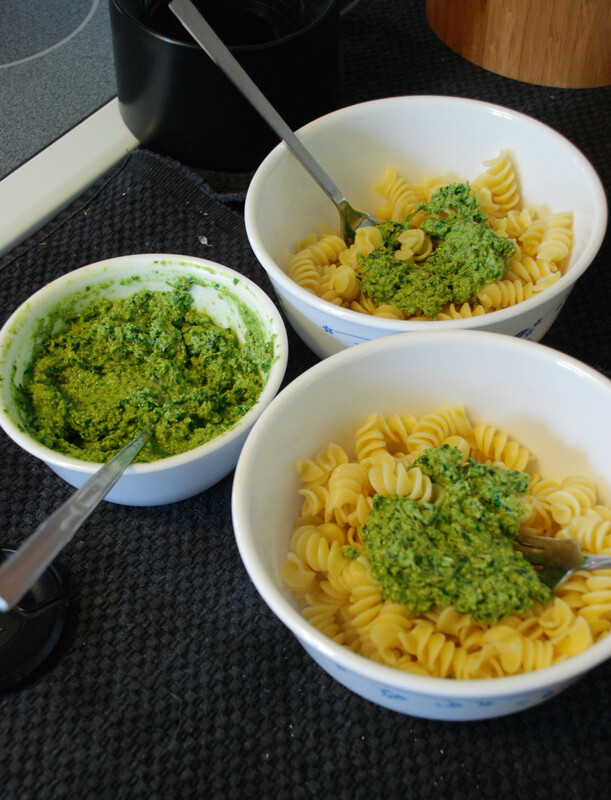 Making this pesto is simply the best way to incorporate those two ingredients. 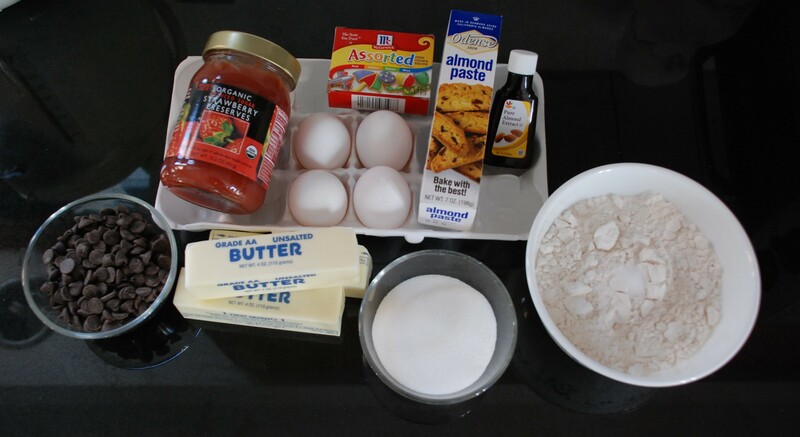 A very simple and easy recipe that can be used with pasta, shrimp, tomato & mozzarella, omelets, and well anything you want. Even better is that you can keep pesto for a long time in the freezer. Yum! 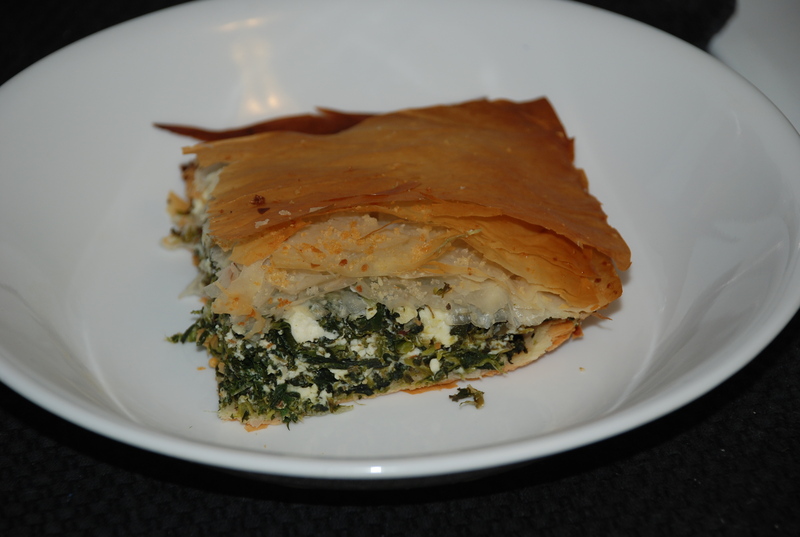 I saw this recipe on the food network a long time ago when Dave Lieberman was hosting his show and from then on I kept making this recipe over and over again. 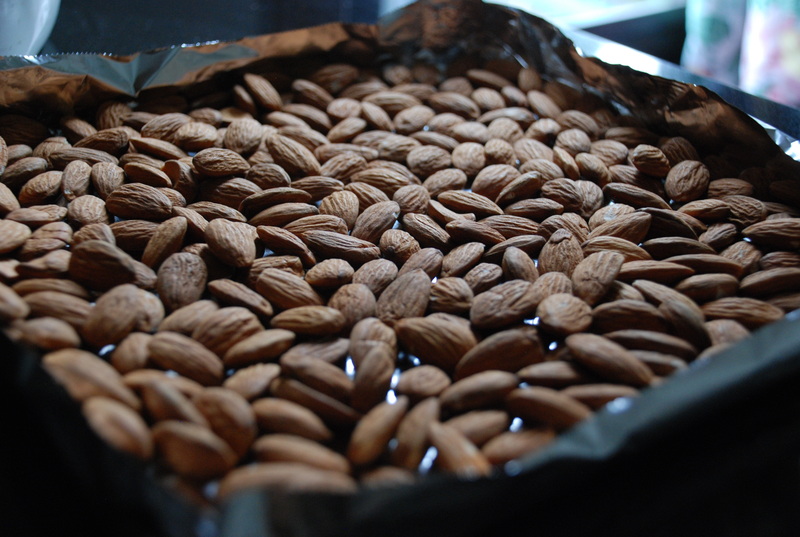 After making this recipe a million times I tweaked it to my preference such as not adding garlic, less extra virgin olive oil, switching nuts and the rest is all to your personal taste. 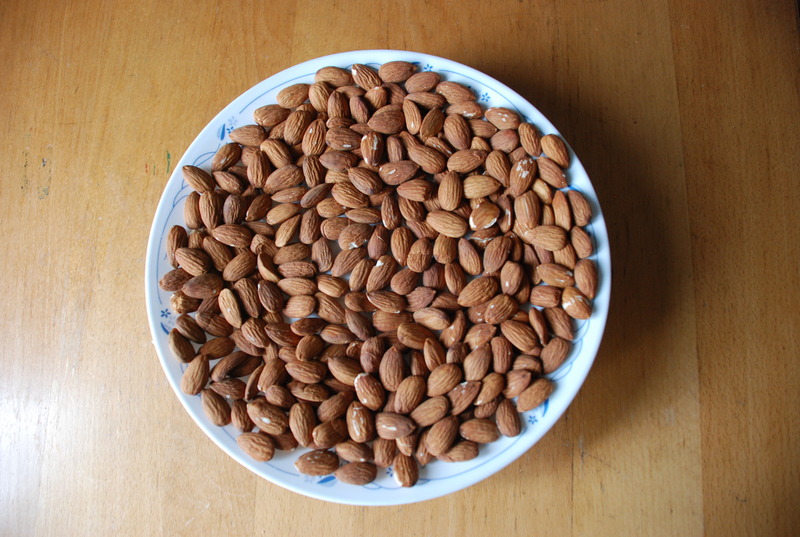 The reason i switched nuts is because if you have bought pine nuts you know that it is more expensive than walnuts, almonds, etc. 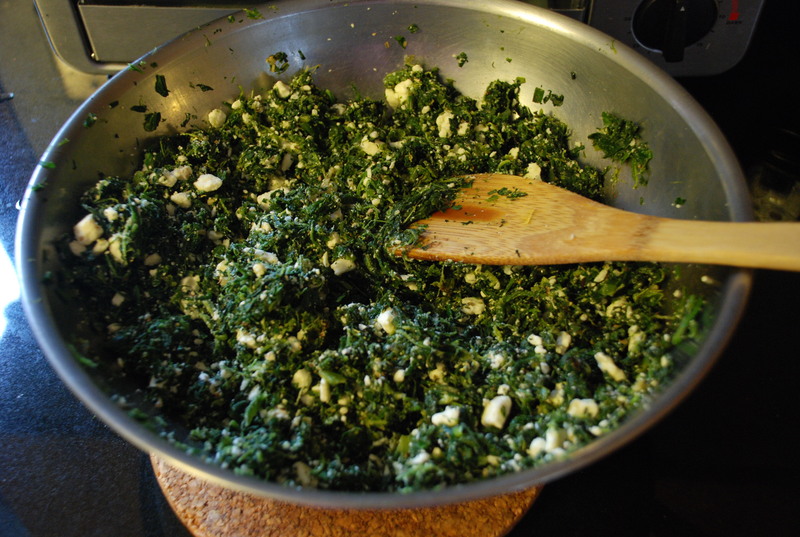 As for the oil, I felt that it was a bit much for me since the oil would float to the top when the pesto was resting; I know that is quite normal but that is just me, you can put more oil if you would like. Colorful ingredients going in the blender. 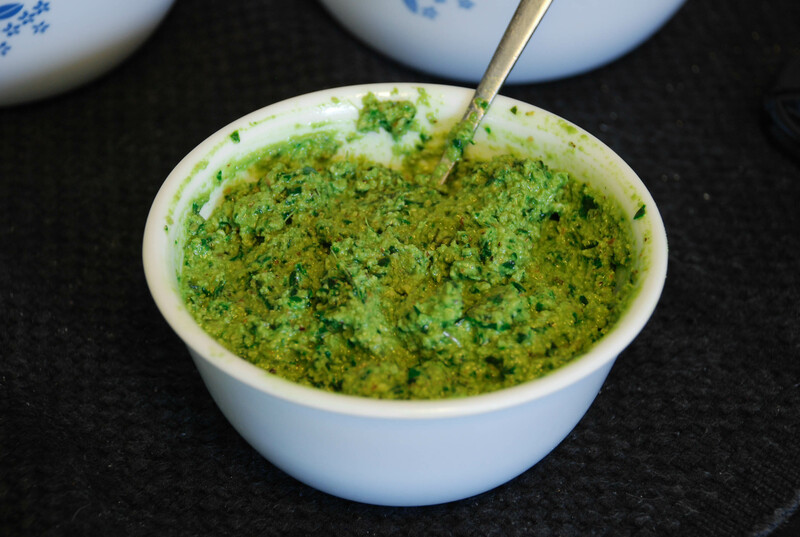 If you have a large food processor, I think that it would be easier to get the pesto out rather than struggle with spoon trying to scoop out every last bit. 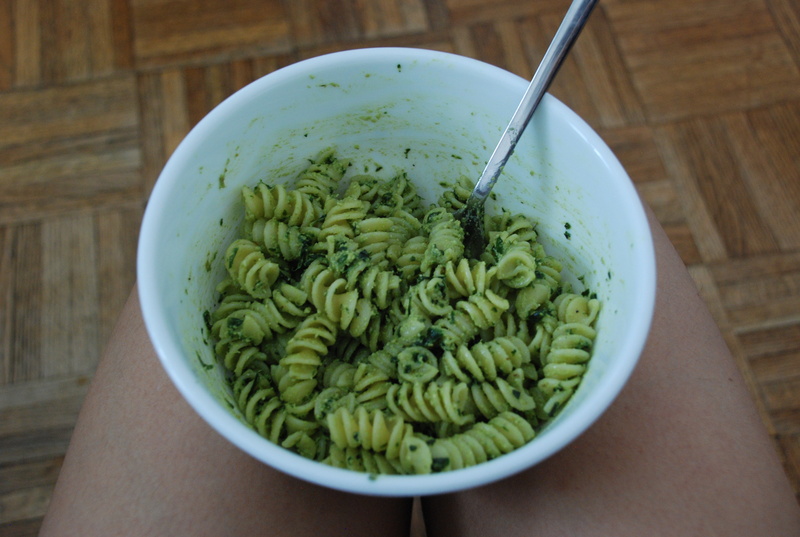 Nothing like pesto pasta. yum! 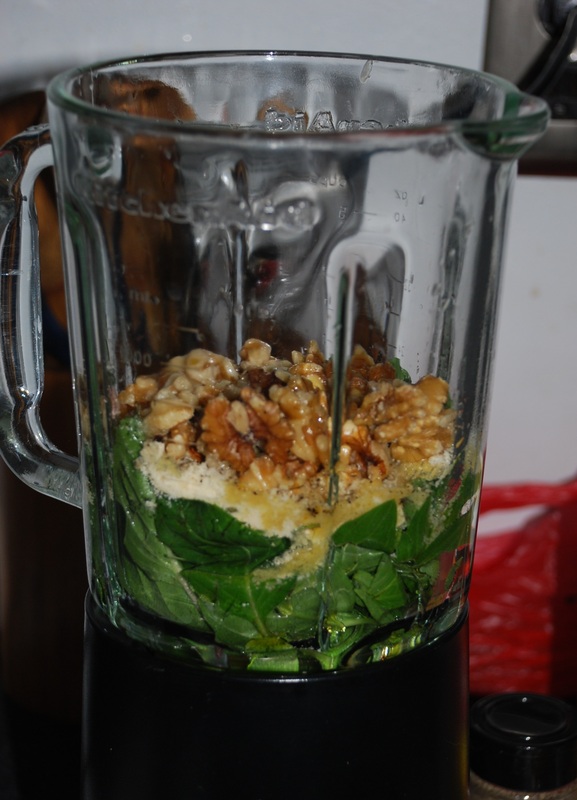 Place all ingredients in a blender and blend until pesto is thick and smooth. 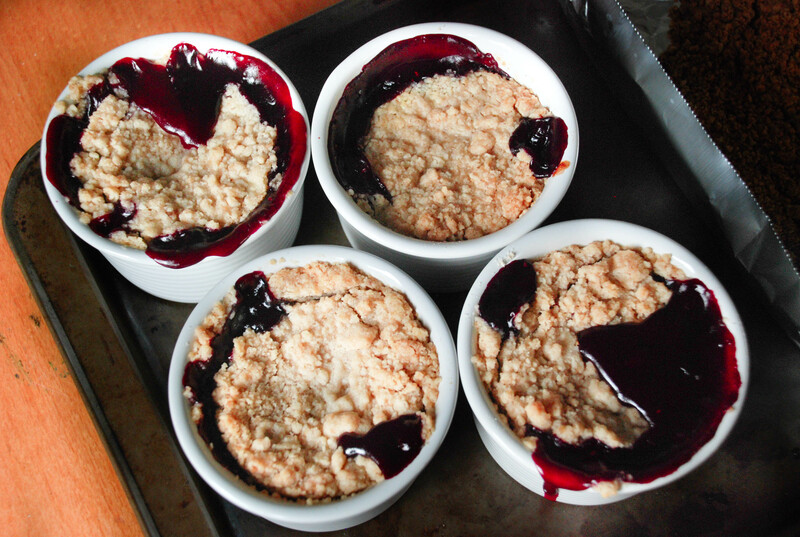 One day I watching Ina Garten on her food network show, Barefoot Contessa, she was baking a peach blueberry crumble and I thought oh my goodness, that looks so delicious! I have to make it! Actually almost everything that she makes I also want to make because it looks delicious, even a simple fruit platter or antipasto. Ina Garten is by far one of my favorite cooks because she always looks happy, relaxed and easy going, then again who wouldn’t when you live in the Hamptons. Plus, she has all these fabulous friends that come over and help her cook or decorate. awesome! Speaking of fabulous friends, I have a friend (J.Z.) that also loves Ina Garten as much as I do. My friend has a few of her cookbooks, sadly I only have one but that one has her signature in it! I realized that I haven’t really talked about music in a while, the songs I am listening to now are by Lana del Rey. Her music has a more low and slow, sometimes a sadder, tone to her tunes but I guess her music grew on me and I like it. Some of her more popular songs are blue jeans, blue velvet (this song was played in an H&M commercial with her in it) and young & beautiful (this song was on The Great Gatsby soundtrack and trailer). Now on to the food! Instead of using peaches I used frozen raspberry and strawberry along with the blueberries, just because I didn’t have peaches. Also I found that the recipe asked for a lot more flour than I thought it needed or it could be because I didn’t have enough fruit. 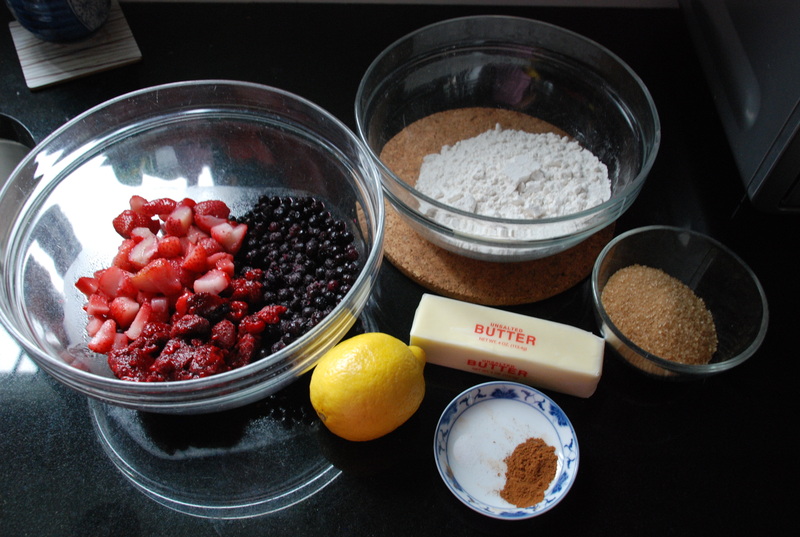 It’s a bit of both, to remedy that I would add on two more cups of any berry of your choice and lowering the amount of flour (which is done below). 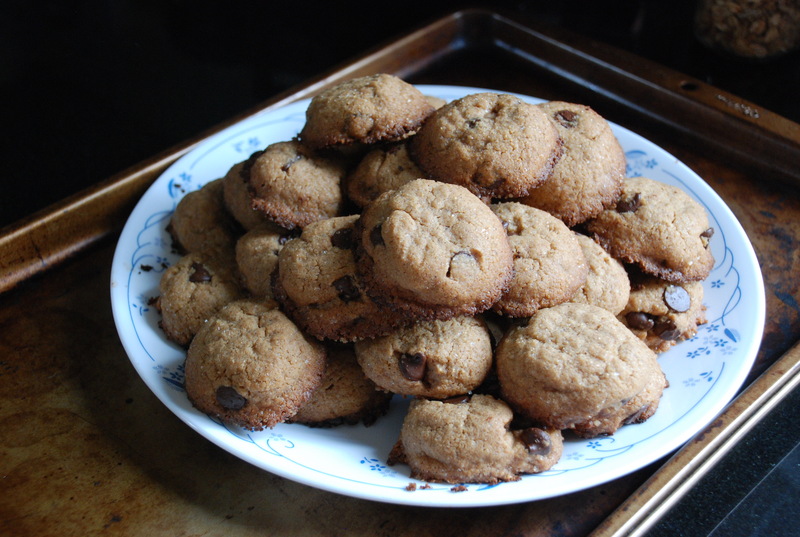 If there is anyone out there that is following a gluten-free diet then instead of using flour you can use cornstarch and you don’t have to make the crumble, this is great over other things such as gluten free ice cream or banana bread…..Hi Amy! 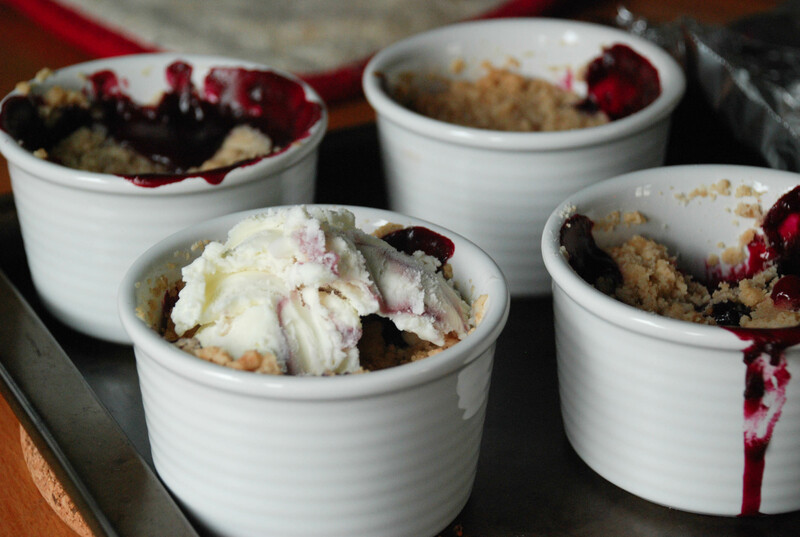 In the original recipe the dessert was plated in ramekins but if you don’t have those you can put it in a baking dish or casserole dish. 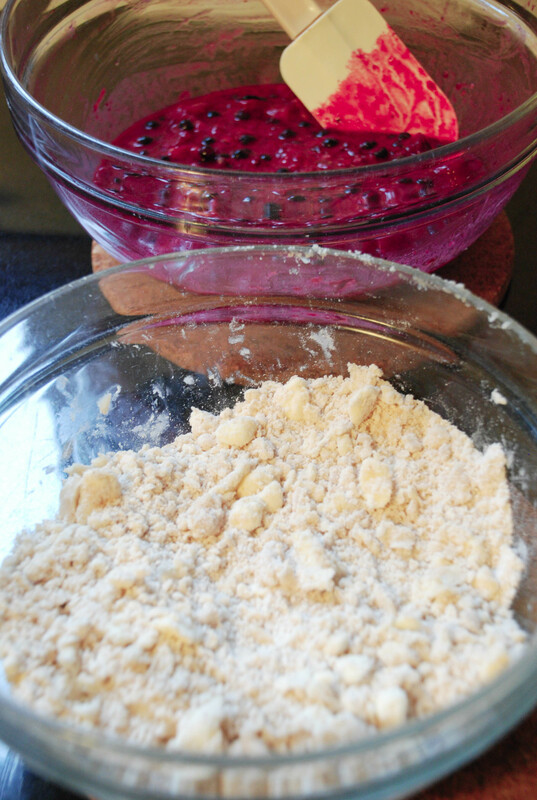 Berries combined with the flour mixture. 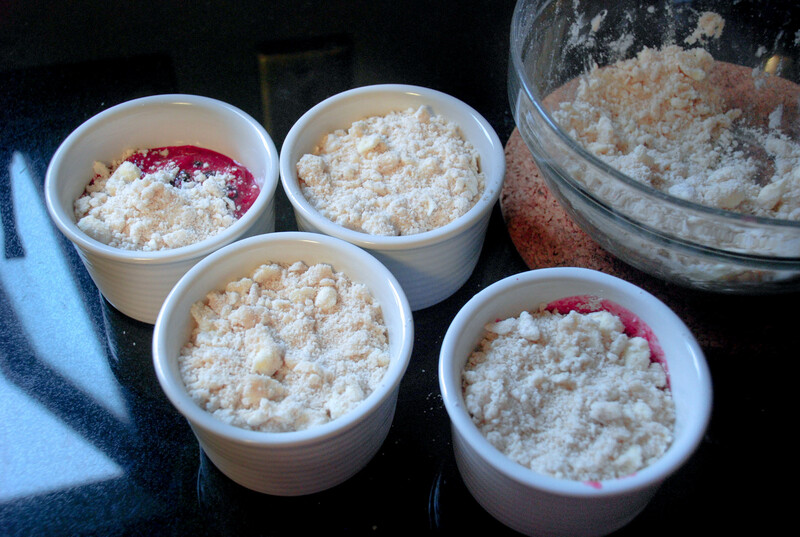 The crumble and fruit mixture. Top it off with some ice cream and its ready to eat! 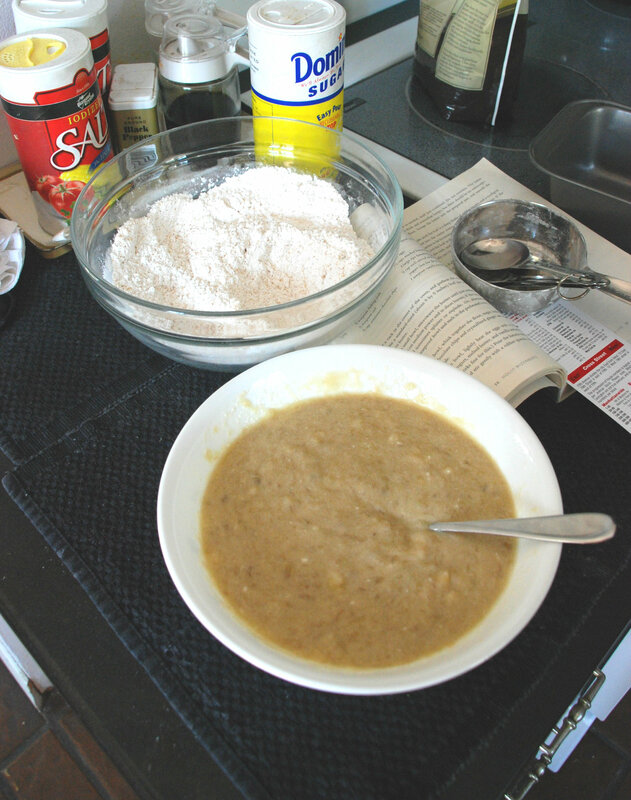 Preheat the oven to 350 degrees F. Add the lemon zest, lemon juice, granulated sugar, and flour in a large bowl. Toss well. 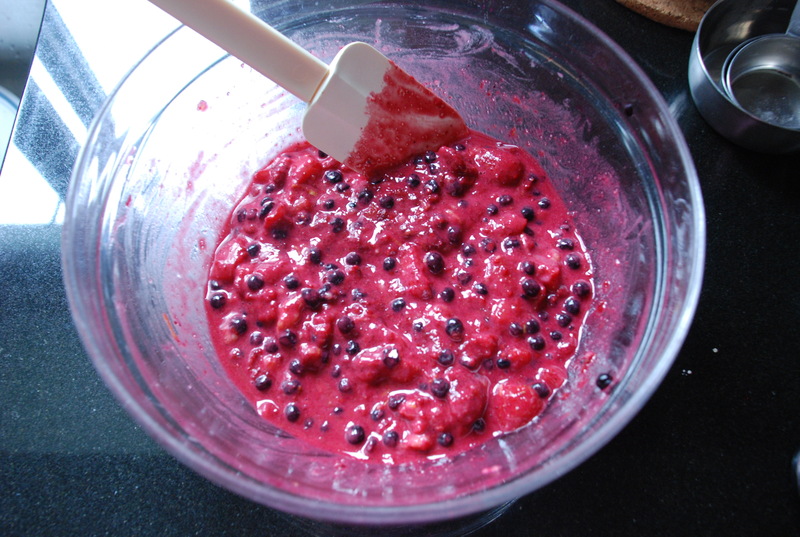 Gently mix in the blueberries, strawberry, raspberry. 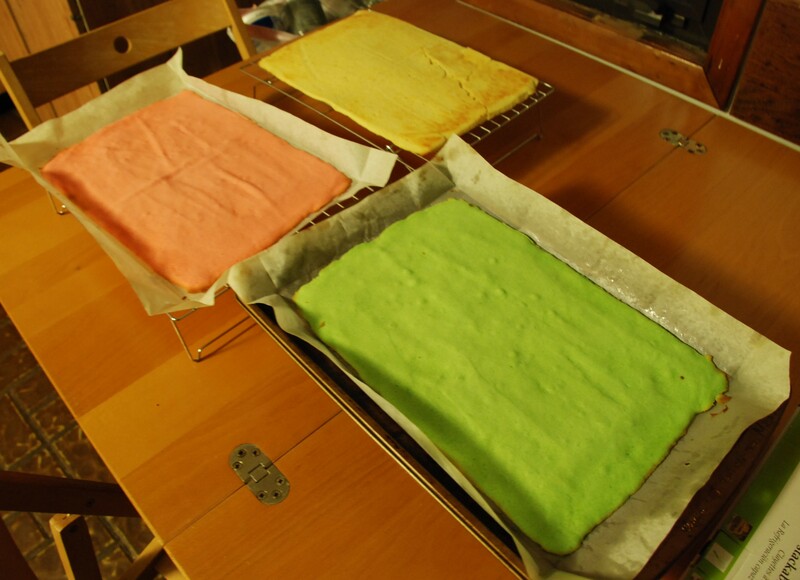 Allow the mixture to sit for 5 minutes. 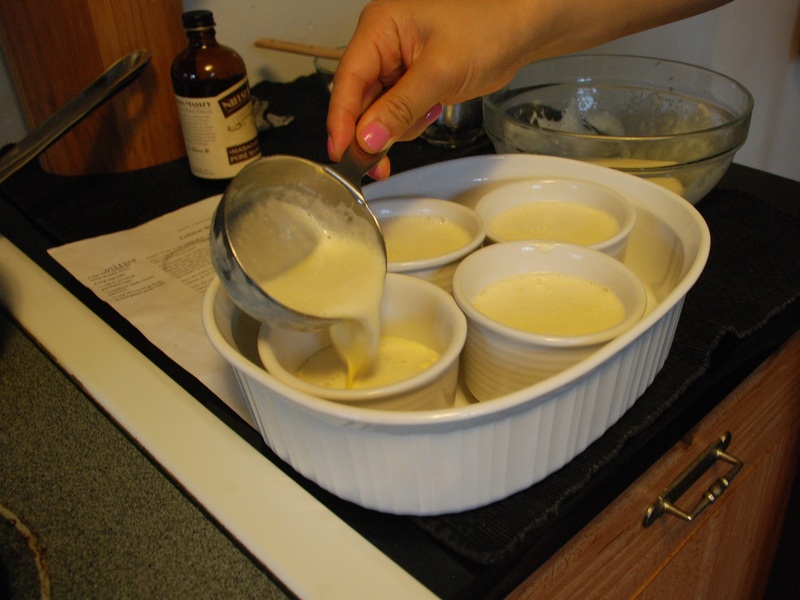 Spoon the mixture into ramekins or baking dish.For the topping, combine the flour, brown sugar, salt, cinnamon, and the butter in the bowl of an electric mixer fitted with a paddle attachment. 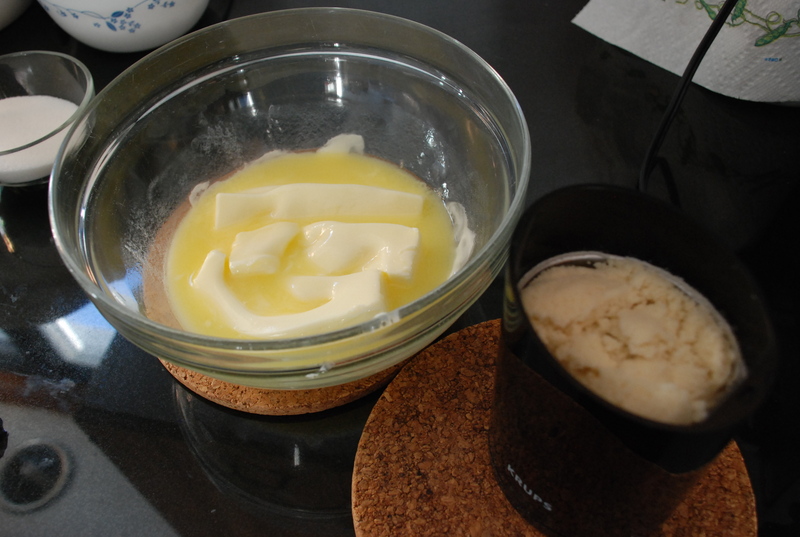 Mix on low speed until the butter is the size of peas, or if you are like me then use a knife to cut the butter into itty bitty bits. 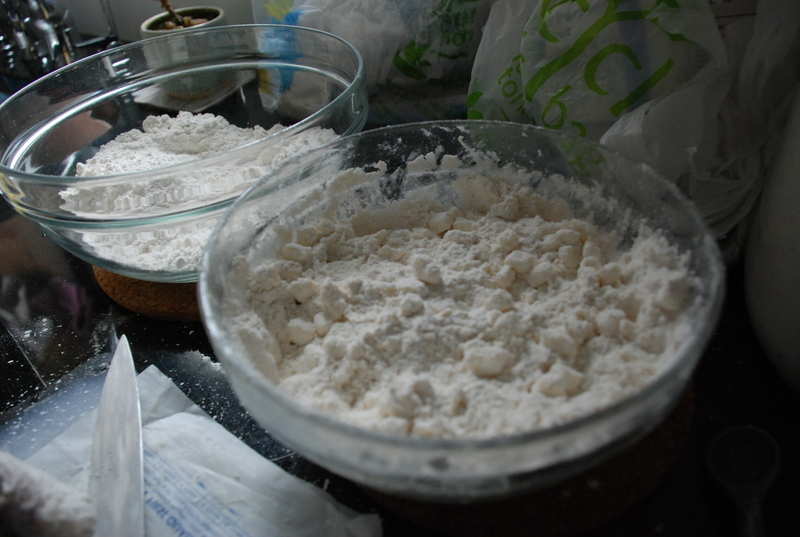 Rub the mixture with your fingertips until it’s in big crumbles, then sprinkle evenly over the fruit. 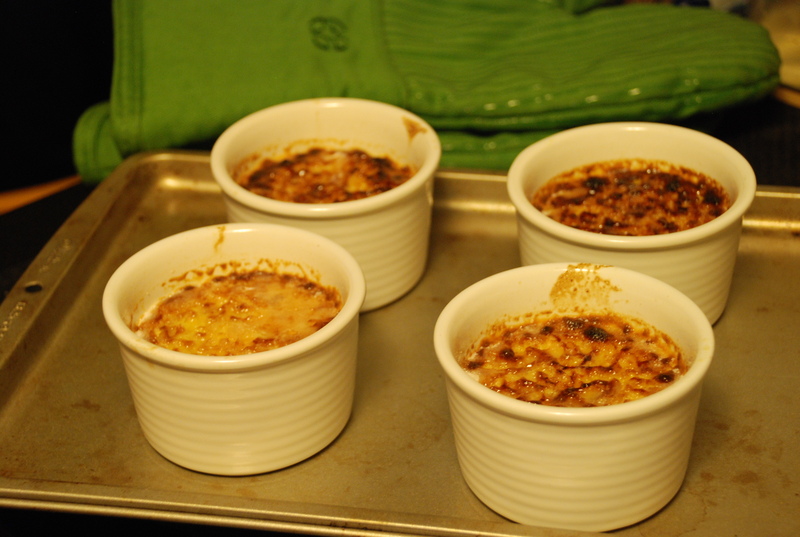 Place the ramekins on a sheet pan lined with parchment paper and bake for 40 to 45 minutes, until the tops are browned and crisp and the juices are bubbly. Serve warm or at room temperature.